Review – Tim’s Coffee: El Salvador & Colombian – Dear Coffee, I Love You. A good friend of mine recently met Tim Duren at the farmer’s market in Tuscaloosa, AL. Tim’s normal fare are Snapdragons (the flowers) but he recently began roasting coffee to sell at the farmer’s market. This is great news for anyone in West Alabama, because it’s a coffee desert otherwise, with the closest quality roaster 70 miles away in Birmingham. So my friend kindly sent two roasts my way to try out, and to sum things up, Tim has a bright future ahead of him. I wasn’t sure what to expect from this new roaster, but Tim’s El Salvador is one of the best cups I’ve had since being in NYC this spring. 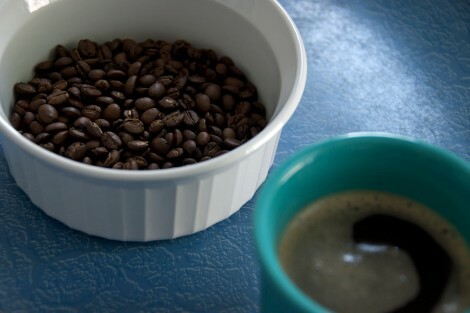 Aroma: The ground beans were rich as Fort Knox with a sweet scent of chocolate and a handful of nuts. Once brewed the aromas became more complex and very sweet. Caramel and hints of vanilla were very present and the dry nutty scent was blended into the creamy aroma of peanut butter without the jelly. Taste: My initial sip was met with a lively brightness, like a spoonful of grapefruit on a quite Saturday morning. The shine of the first sip smoothed into a nutty aftertaste that evolved more and more into dry cocoa as it cooled. A very pleasant and smooth, full body swells from the cup, filling my mouth as a warm marshmallow would after roasting lightly on a camp fire. I’m generally not a fan of Colombian coffees, and while this was more enjoyable than most, it was still kind of boring. 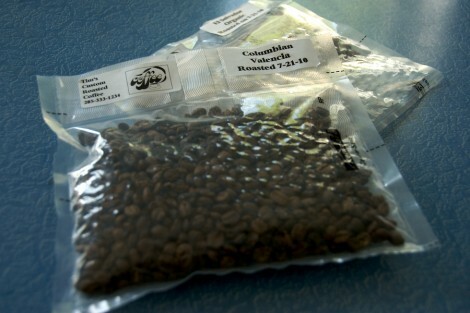 Aroma: The dry grounds were surprisingly floral with hints of fruit and nuts. After being brewed the aroma was surprisingly dull without providing much of anything aside from a slight hint of orange peel. The cup became very flat and unexciting to me. Taste: Though the aroma offered no enticement, my first sip was pleasantly accented with a citrus zest followed by slightly salted walnuts washed down with a nice slightly sweet finish. As the cup cooled the brightness was more pronounced and the flavors became much more complex with chocolate and a dry wine finish that rounded out this medium body brew.